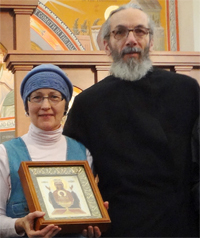 Initially, this Fellowship was conceived out of a lifetime of prayerful desire on the part of Matushka Syncletiki (Cynthia) and Fr. Christophe Lepoutre. We wanted to be able to use our marital experience, and my training in psychotherapy and pastoral counseling, to help others in a context of the Holy Orthodox Faith. At the heart of the Fellowship's work is the strong belief that the Russian Orthodox Church has been given a most precious of gift by Almighty God and Our Most-Holy Lady, through the Holy Icon of the Inexhaustible Cup which first appeared at the women's monastery in Serpukhov in the year 1878. 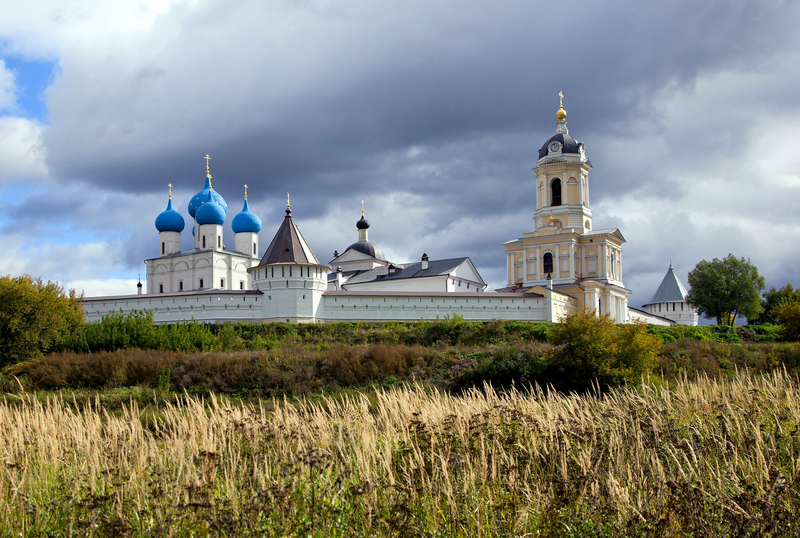 Twenty years after the Icon’s miraculous power was revealed, a society of sobriety was inaugurated, which quickly grew into the All-Russian Brotherhood of Sobriety, which encompassed the entire Russian land and was supervised by Archbishop Arseny of Novgorod. The Brotherhood had a printshop which published four magazines, and produced hundreds of books, brochures, and leaflets directed at religious and moral instruction. They supported libraries and schools; held public readings, discussions, and lectures; conducted missionary courses; and supported housing projects for the impoverished. In some areas, they even had their own churches and chapels, and regularly held large public Krestny-Hods. The goal of the Society was to fight drunkenness in the Russian land. In Saint Petersburg alone, six departments of the Brotherhood existed, headed by Orthodox priests, with 70,000 participating members. When it was doing the most good, in 1918, the Brotherhood was closed, and its finances confiscated by the Soviet Government. 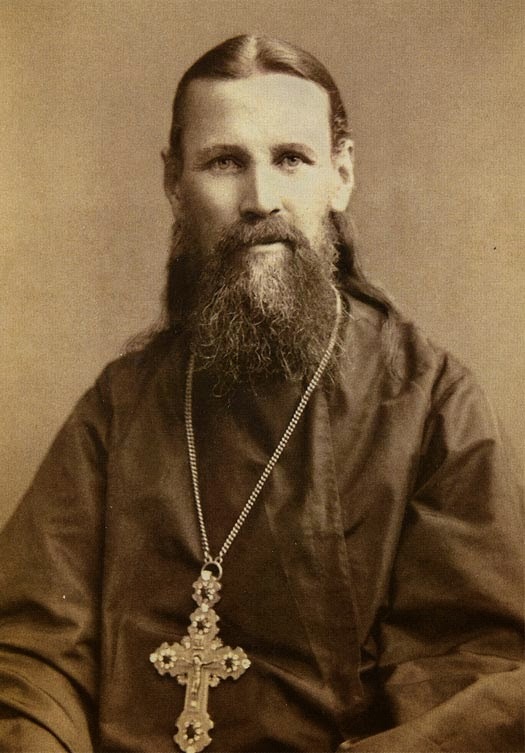 Significantly, it was at this time, the end of the 19th century, that our Holy Father John of Kronstadt lived, who with his saintly wife, Matushka Elizabeth, was committed to fighting alcoholism and addictions. Saint John’s Orthodoxy was founded on the Holy Gospel, on the authentic life in the Holy Spirit, especially as manifested through daily participation in the Divine Services, and reception of Holy Confession and frequent Holy Communion. He emphasized that healing of the person could only be accomplished through restoration, renewal, and transfiguration of the soul, through participation in the Holy Eucharist. Now, in 21st-Century America, the work among the Orthodox Christian people that was begun by the All-Russian Brotherhood of Sobriety in the 1800s, is revived in the Fellowship of the Inexhaustible Cup. And the work that was manifest in the Arch-Pastor of that era, Saint John of Kronstadt, is sought to be emulated by the new Fellowship. Thus, the Fellowship is being built upon the foundation initiated by this group which developed shortly after the Holy Icon’s original appearance. Furthermore, Saint John was wholeheartedly committed to praying for others, believing this to be beneficial to the person praying, as it purifies their heart and strengthens their faith, while evoking love for God and neighbor. His life and his prayers were so God-pleasing, that he was granted special gifts of prayerful intercession for them with all types of needs. The needs of those with addictions can be overwhelming to the average parish priest. Often, when persons with addictions approach a clergyman (regardless of faith), the mind of the addict does not perceive that an appropriate response which projects the love of Christ is being given them. This is because many representatives of the clergy have not received the necessary training to deal with the complex personality of the addicted individual. Not understanding the full scope of needs, the clergy often discount the effectiveness of 12-step programs, not realizing that all recovery is a means to an end. However, it is in addition to any secular healing program that in all stages of recovery, the acquisition of grace must be a component. From an Orthodox standpoint, the diseased person must come to the knowledge of the one and only true God. Only Jesus Christ and the experience of the grace present in the gift of the Holy Mysteries of the Orthodox Church can offer healing of the whole person, and not healing of just one part of the person. Matushka and I wanted to synthesize secular and Orthodox healing into a real entity that could have the backing of the Orthodox Church, in order to truly reach out and touch peoples’ lives. Archpriest John (Moses) was instrumental in this regard, and he encouraged the development of this Fellowship. He also suggested that I meet with His Eminence, Metropolitan Hilarion, first Hierarch of the Russian Orthodox Church Outside of Russia, to discuss formation of the Fellowship.